After serving many clients through my previous interiors design business, I am happy to now be able to provide the greater Athens area with more variety of home furnishings products. By meeting the qualifications to be a Decorating Den Interiors owner, I am part of North America’s largest interior design and home furnishings franchise company. We represent more than 85 home furnishings suppliers and offer our customers furniture, accessories, lighting, floor and wall coverings, window treatments. I bring samples directly to the client’s home or office and provide complimentary professional design services. Upon completion of my interior design degree in 2006, I began my career as a design professional with a custom homebuilder. I have been independent designer since 2008. When not helping clients create beautiful rooms, I am a wife and mother of two grown sons. I enjoy reading, cooking and exercising. If you're looking for a decorator, who is easy to work with, works within your budget, decorates around your lifestyle, expands upon your ideas and makes decorating a fun experience, please give me a call. I'm looking forward to your call. Metal + Petal is a full service design firm lead by the husband and wife team Graham + Jade Joyner. A native Athenian, Graham has a background in branding, retail, and renovation. Jade, a true nomad, is a passionate interior designer with over a decade of experience in Europe and America. The couple have combined their talents and opened their concept store, Metal + Petal based in Athens, GA. M+P offers a curated collection of things they love for your home and your life. It also houses their design business. Their vision is to bring a more modern approach to traditional design. They design commercial and residential spaces, own and run their retail store, as well as plan bespoke events. Kimberly C. Lyons is the principal interior designer and founding owner of KCL-IDESIGN, LLC (Interior Design Studio). She has been slaying interiors since forever and refuses to partake of what is known as the norm when transforming spaces. With an intense passion for incorporating a wow factor to anything ordinary, Kimberly acknowledges, that she is recognized as a rare breed while splashing her signature touch when designing, which is considered extremely fun and exciting! However, besides being incredibly obsessed with extreme bold colors, captivating art, unique decorative objects, modern architecture, and the motivating phrase – I dare you – this overcharged and crazed interior designer lives for going outside the box, and is not afraid to break some design rules. Her love and passion for interior design come from a deeply rooted philosophy, which is designing from within; from the soul, and it is always about living, breathing, and loving interior design! Kimberly is addicted to chocolate, obsessed shopaholic, laughs hysterically, global traveler, football-crazed chick, head-over-heels in love with modernism, and is inspired by the not so beautiful objects. Lives accordingly by her motto: I live - breathe - love interior design. Stephanie Zehna of Zehna Designs is a Certified Interior Decorator based in Athens, Georgia. Stephanie started her own design business in 2015 after spending over 20 years in the residential remodeling business. Services range from remodeling design, kitchen and bath rehab, furniture purchase or specification, color consultation, art installation and much more. With a particularly keen eye for color and space planning, Stephanie can help bring your ideas and tastes to life. Using CAD software, she can also provide you with graphic renderings of your ideas and plans to help refine your project and achieve the space of your dreams. A good home design professional will hone your style down to its very essence and be able to choose a functional layout that feels natural to you. Interior design companies can be involved as much or as little as the client desires. Many clients who hire an interior decorator in Pendleton, SC — particularly those who are remodeling — have a good sense of how the room should look and what products they should use. Often clients will insist that interior decorators use the products already present in the house. Other times a designer will need to start from scratch — especially if this is a newly purchased or just-built home. An interior design company will need to figure out exactly what the client needs, which includes organizing rooms, picking flooring and wall colors, and finding furniture to complement it all. Sometimes that means he or she will have to recruit help from other Pendleton, SC home professionals to help create the perfect look for your renovation. Here are some related professionals and vendors to complement the work of interior designers & decorators: Architects & Building Designers, General Contractors, Home Builders, Design-Build Firms, Photographers. Do your research before meeting with an interior designer or home decorator in Pendleton, SC. Ask yourself what you want your space to become and what it will be used for. Figure out the extent of what you need help with, what your must-haves are and what your budget is. Interior design services can add up fast, so be up front with a potential design firm or individual from the beginning. Also, pick an interior decorator that fits your style. Browse through the portfolios of different Pendleton interior design firms and decide if you would live in those houses. Just because you like something doesn’t mean you could live in it. There's a big difference! 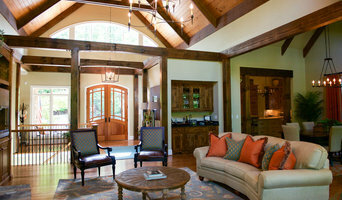 Find an interior designer or home decorator in Pendleton, SC on Houzz. Narrow your search in the Professionals section to find Pendleton interior designers near you. 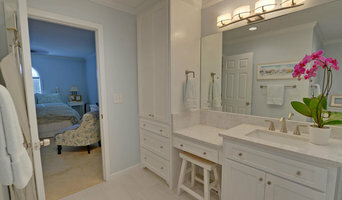 You can also look through Pendleton, SC photos to find a room you like, then contact the design firm who designed it.